LED Clear Candle Lamp 3W SBC (B15d) 230lm is rated 4.7 out of 5 by 23. 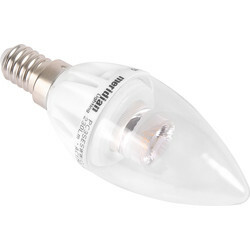 Rated 5 out of 5 by Anzon from Excellent 3W light Ideal for all night lights. Rated 5 out of 5 by Tony from Taunton from Brilliant lamps I had some difficulty finding small bayonet cap SBC lamps of this type to go into a ceiling fitting taking 5 of them. I have been looking for some time but stumbled on these in the Toolstation catalog. Very good price for an item that in principle should last for 15 years. Traditional filament lamps where lasting less than a year! So these will pay for themselves in a couple of years. Rated 3 out of 5 by Hotmetalcomp from Physically a bit too big I bought these to replace old style filament bulbs. They were a tad longer than the originals which made them difficult to fit in ‘fire effect’ holders. I was apprehensive about them touching at the tip when screwed fully home but they seem to be OK for now. Rated 1 out of 5 by EvenOlderbugger from One direction light Bought these for chandelier to replace other led lamps that had a poor failure rate. These bulbs face downwards and it isimmediately noticeable that there is no relected light from the ceiling. Might just as well have a matt black ceiling. The base shrouds the light so much that the crystal gets very little light to refract and give off that effect that an ordinary incandescent bulb gives. May be alright for other applications but I like good light and these do not reach my standards. Rated 5 out of 5 by Bob the biker from Good Good brightness and good price. Rated 5 out of 5 by Broigel from Great service! 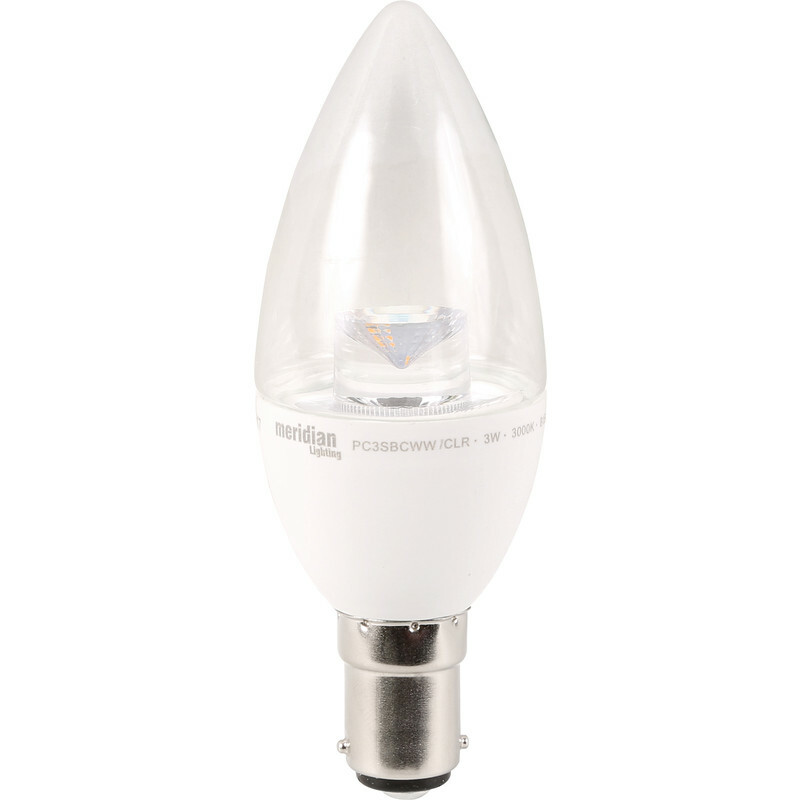 Chose this from a very fine selection of LED bulbs, right size, right luminosity, supposed to last for ages too. Having ordered online, the package arrived next day. Couldn't be better. Bulbs perfect too.